Grab the previously unreleased "Guns & Ammo" from the indie prog band's new acoustic EP -- for a limited time only! 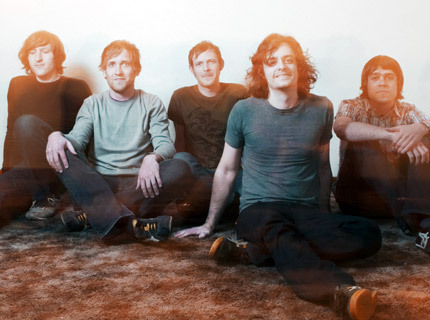 Minus the Bear’s previous efforts seemed very dependent on all things plugged in, from the synthesizers that deepen their sound to the electric guitars through which the Seattle outfit builds their layered, detail-laden prog pop. But after a stripped down recording session this summer for Daytrotter.com proved their versatility with acoustic instruments, Minus the Bear recorded unplugged versions of six of their best-known songs, plus one new tune, for an EP which comes out tomorrow, just in time for the band’s lengthy fall tour. For one week only, exclusively on SPIN.com, you can download that new song, “Guns & Ammo.” The Acoustics EP is available digitally starting tomorrow on iTunes and Amazon; if you want the physical version, the only place to get it is at one of the band’s upcoming shows — check out the dates below.